Voting in Senate elections began Thursday morning as federal and provincial lawmakers arrived to cast their vote. With four contestants already elected unopposed in Sindh, voting was held for the remaining 48 seats with members of the provincial assemblies electing senators on their respective provincial quotas – seven for Sindh, 11 for Punjab, 12 each for Khyber-Pakhtunkhwa (K-P) and Balochistan for different categories of seats. A neck-and-neck contest is expected between the ruling PML-N and the main opposition party, the PPP, as they vie to take control of the upper house of Parliament for the next three years. PTI’s candidate for general seat Syed Shibli Faraz from K-P was also elected. According to unofficial results, JI chief Sirajul Haq has been elected as a Senator, Express News reported. 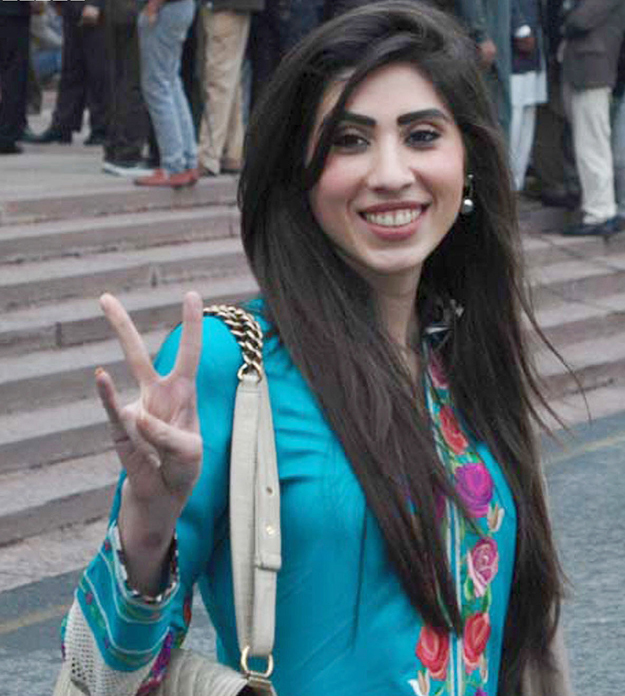 Another seat goes to PTI, this time it is PTI’s candidate for reserved seat for women Samina Abid who was elected. First unofficial result from Khyber-Pakhtunkhwa (K-P) has been announced. PTI’s candidate for minority seat from K-P John Kenneth Williams was elected with 70 votes, Express News reported. Total 123 votes were casted by K-P lawmakers. Counting of votes in the K-P Assembly begins; 123 votes were cast in total, our correspondent Manzoor Ali reports from Peshawar. President Mamnoon Hussain congratulates the newly elected Senators, Radio Pakistan reports. He expressed confidence that they would play their role in strengthening the democratic process. PML-N’s senior vice president, Sardar Yaqoob Nasir, one of the stronger candidates, could not secure his Senate seat from Balochistan, our correspondent Shezad Baloch reports. Despite having the support of 28 MPAs out of the total 65, the PML-N won a disappointing three seats, whereas the ruling National Party (NP) with 11 members and PkMAP with 14 members also secured three seats each. A message from the Chairman Senate Syed Nayyer Hussain Bokhari congratulates the newly elected senators. Bokhari expressed his hope that the newly elected Senators will play a positive role as they enter the upper house of Pakistan and that they will work hard for the betterment of the people and rule of law leading to progress in the country. Voting time in K-P Assembly is over. According to sources, PTI’s dissident MPA Javed Naseem did not appear to cast his vote, our correspondent Manzoor Ali reports. Prime Minister Nawaz Sharif congratulates the newly elected senators, Express News reports. Transparent electoral process strengthens democracy, he says. PML-N leader Rana Sanuallah while announcing his party results from Punjab said Raja Zafarul Haq and Professor Sajid Mir have won their Senate seats on technocrat quota by securing 157 and 149 votes respectively. Two women senators; Ayesha Raza Farooq with 146 votes and Najma Hameed with 157 votes have also been elected on PML-N tickets. According to unofficial results, the ruling PML-N emerges as largest party in Senate polls by securing 16 seats from Punjab, Islamabad and Balochistan. Unofficial results indicate that PML-N’s Pervaiz Rasheed secured 44 votes; Abdul Qayuum 43; Saleem Zia 42; Mushahidullah Khan 41, and Nehal Hashmi got 41 votes from the Punjab Assembly, our correspondent Aroosa Shaukat reports. 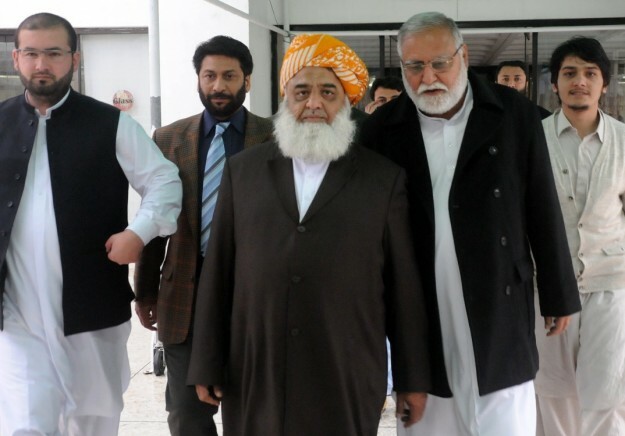 JUI-F chief Maulana Fazlur Rehman says Maulana Ghafoor Haidery has secured his Senate seat from Balochistan. Referring to the PTI, he said those who were ‘worried’ about rigging in elections were exposed and caught red-handed today. Total number of MPAs in Sindh stand at 168 as one member was disqualified. According to presiding officer, 163 MPAs cast votes as four PTI lawmakers could not turn up (they had resigned from the assembly last year but their resignations have not been accepted as yet). The PML-N has managed to secure both the Senate seats from Islamabad, Express News reports. 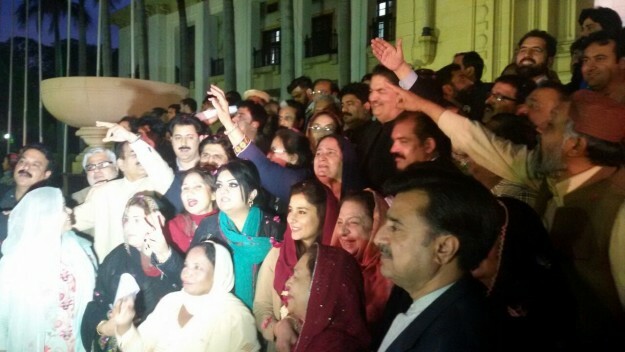 Raheela Magsi and Iqbal Zafar Jhagra won the seats. Our correspondent Hafeez Tunio reports that five PPP candidates – Rehman Malik, Islamuddin Sheikh, Salim Mandviwalla, Abdul Lateef Ansari and Engineer Gayan Chand – and MQM candidates – Mian Ateeq and Khushbakht Shujaat – have secured Senate seats, according to unofficial results. Interestingly, joint opposition’s candidate Imamuddin Shaukeen – who was supposed to get 20 votes – only managed to secure 13. National Peoples Party lawmakers reportedly cast votes in favour of PPP candidates. As per unofficial poll results, MQM’s Khushbakht Shujaat and PML-N’s Iqbal Zafar Jhagra have secured their Senate seats. In other news, polling in the K-P Assembly has been extended to 8pm, according to Express News. Polling has come to an end, Express News reports. “Voting is everyone’s right, we hope that the PPP wins,” says Sindh Chief Minister Qaim Ali Shah. With only 15 minutes to go, polling in the K-P Assembly has still not started, Express News reports. Further, our correspondent Qamar Zaman reports that polling in the K-P Assembly has been suspended. Polling will only be postponed if ECP or a court orders the postponement. Minister for Railways Khawaja Saad Rafique, while speaking to the media, says the ordinance should have been formed at least 10 days ago. Meanwhile, votes are still being cast in the Balochistan Assembly, Express News reports. Even after four hours, voting in the K-P Assembly has not yet begun, according to Express News. JUI-F Maulana Attaur Rehman says PTI and JI brought the ballot papers outside the polling station in K-P, our correspondent Manzoor Ali reports. The ECP has postponed elections on four seats of FATA until there is proper legislation for the ordinance which was issued last night, our correspondent Qamar Zaman reports. The ordinance changed a procedure which would allow FATA MNAs to only vote for one person. 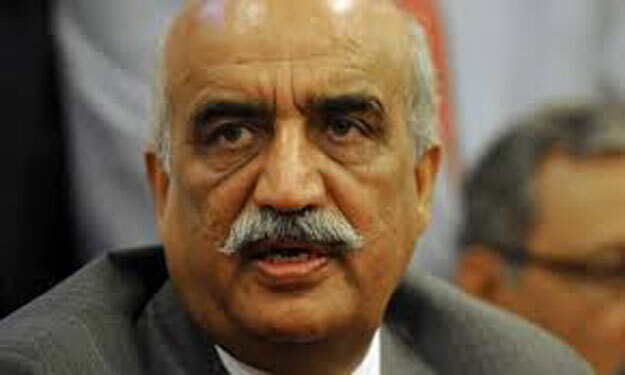 Opposition leader Khurshid Shah, speaking to the media outside the National Assembly, said the government has made the elections controversial. He condemned Prime Minister Nawaz Sharif’s absence during the Senate elections and last-minute issuance of the presidential ordinance. “Who will consider this election genuine?” he questioned, expressing reservations over manipulating law for political gains. Polling has been suspended in K-P assembly for the last four hours. Nighat Orakzai says the ballot papers are being taken to CM house and being stamped, our correspondent Manzoor Ali reports. “I was verbally abused by a PTI member, ” she adds. 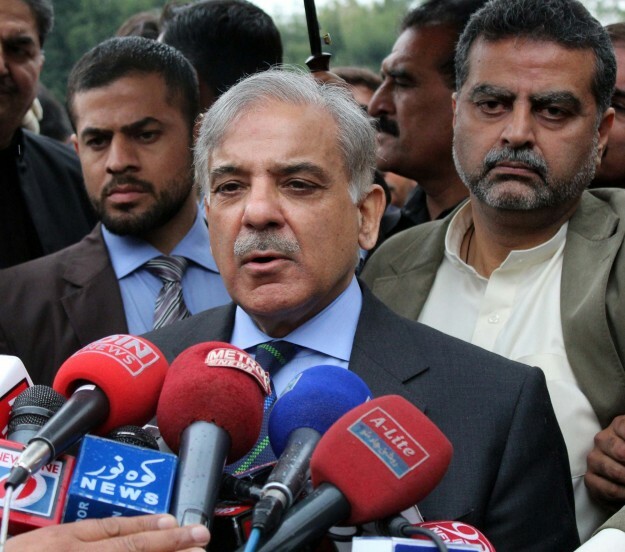 Punjab Chief Minister Shahbaz Sharif spoke to the media after casting his vote. “This polling will further strengthen the democratic system in the country,” he said. Supporters from opposing parties chanted slogans against the chief minister while he addressed the journalists. FATA MNA Habeeb Orakzai announced he is boycotting the Senate elections because of the presidential ordinance. PTI leader Shaukat Yousufzai, responding to rigging claims, says polling in K-P assembly was underway smoothly, however, opposing lawmakers caused ruckus for no reason. A two-member bench – constituted to hear petition filed by FATA lawmakers against recently issued presidential ordinance – issued notices to federal government and ECP to submit their response in this regard in a week. 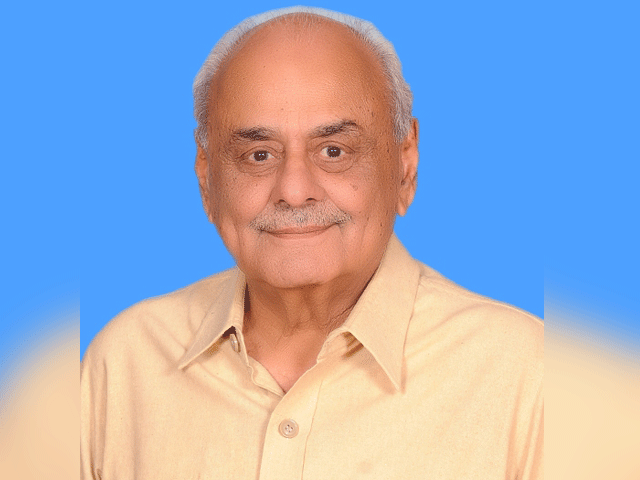 Former Sindh chief minister Dr Arbab Ghulam Rahim brought mobile phone to the assembly despite a ban imposed upon parliamentarians to refrain from using electronic items during Senate elections. An Express News screengrab of former Sindh chief minister Dr Arbab Ghulam Rahim. Our correspondent Aroosa Shaukat reports that polling in the Punjab Assembly has resumed. The voting process was interrupted when PPP candidate Nadeem Afzal accused PML-N lawmakers of showing their ballots to party leadership. Punjab CM Shahbaz Sharif is currently inside the assembly building. 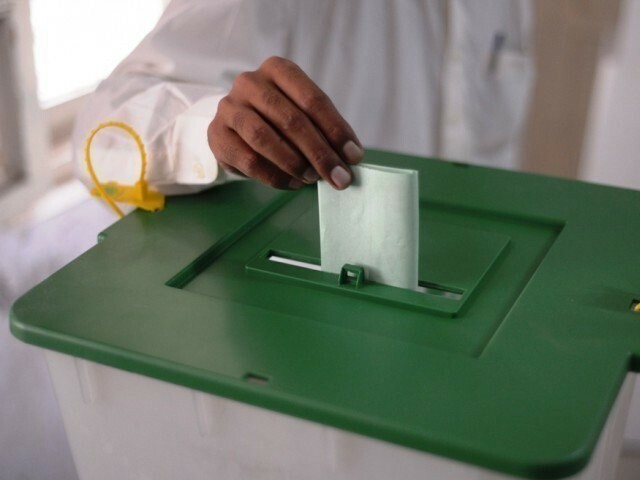 According to Radio Pakistan, polling for the election of four Senators from FATA has been stopped for the time being. The CEC takes notice of alleged horse-trading taking place inside K-P assembly. The Election Commission of Pakistan (ECP) is considering delaying Senate polls in FATA. The members from Federally Administered Tribal Areas (FATA) have filed a writ petition against a presidential ordinance in Islamabad High Court which restricted them to just one vote instead of four votes. The ordinance was issued hours before the ongoing Senate elections. The media was barred from entering the premises of the Khyber-Pakhtunkhwa (K-P) assembly. Media persons were told not to enter the premises of the K-P assembly. 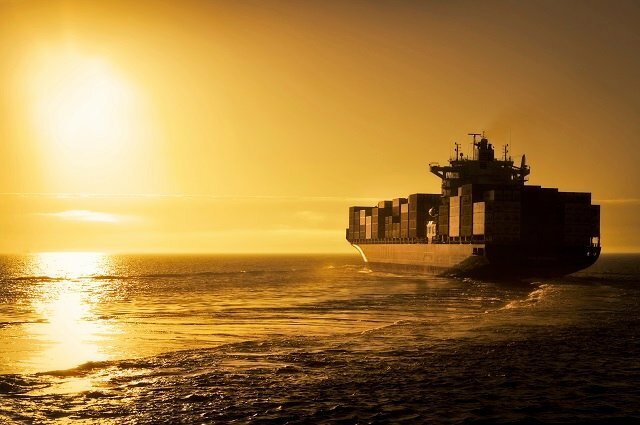 At first they were stopped at the gate and were kept waiting. After journalists started protesting, they were allowed to enter the vicinity but are still waiting outside the building. Nighat Orakzai, member of the K-P provincial assembly, said that she was told to leave the provincial assembly and has alleged that there is horse-trading going on during the electoral process, Express News reported. 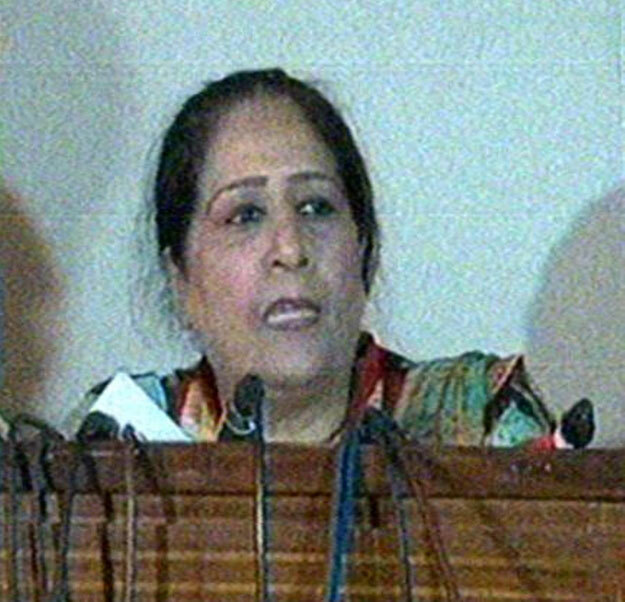 An Express News screengrab of Nighat Orakzai. With four contestants already elected unopposed in Sindh – two each from the PPP and MQM – voting will be held for the remaining 48 seats with members of the provincial assemblies electing senators on their respective provincial quotas – seven for Sindh, 11 for Punjab, 12 each for Khyber-Pakhtunkhwa (K-P) and Balochistan for different categories of seats. 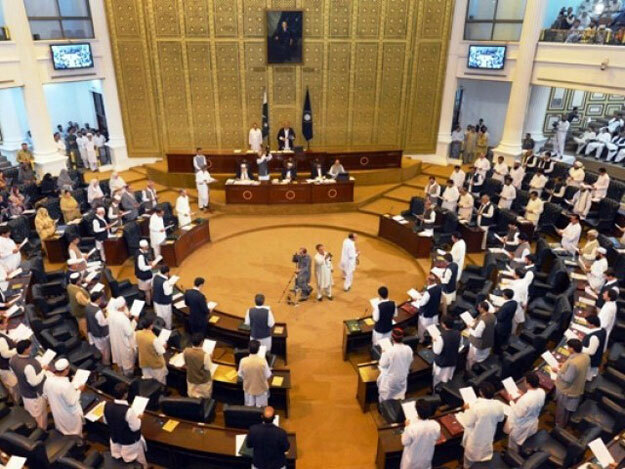 Members of the National Assembly will be voting for two seats for Islamabad Capital Territory (ICT) while MNAs from the Federally Administered Tribal Areas (Fata) will elect four senators from the tribal belt. An Express News screengrab of the National Assembly. According to the final list of contestants notified by the Election Commission of Pakistan (ECP), 84 candidates will contest for 33 general seats from the provinces, Fata and the ICT while 22 candidates will contest for eight seats reserved for women in the provinces and ICT. Eighteen candidates will contest for eight seats reserved for technocrats, including Ulema, while eight others will run for two seats – one each from K-P and Balochistan – reserved for minorities. Qazi Hussain Siraj had filed the petition. To summarly put how the electioneering has been conducted. Hence this was the “Best Team” of legislators that Niazi trumpeted? PTI legislators have been herded like cattle all day because of their questionable characters and integrity. If Niazi has an iota of shame left, he would immediately dissolve KPK assembly and call for re-elections because there is a massive trust deficit between him and the people he personally gave tickets to back in 2013. @Adnan Siddiqi: you got your medicines in time? Good to see Adnan keeping PTI fools at bay. Not getting enough time to comment here but what a shameless acts by PTI in KPK. I don’t know what you are on, but could we all have some.